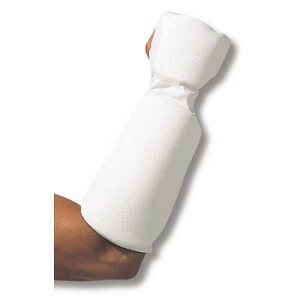 White Hand - Forearm Pads are machine Washable with One piece knitted surgical elastic covers. Colors: White or Black. Sizes: S, M, or L Sold in Pairs. Size: Length of Forearm Pads for Sizing Information.